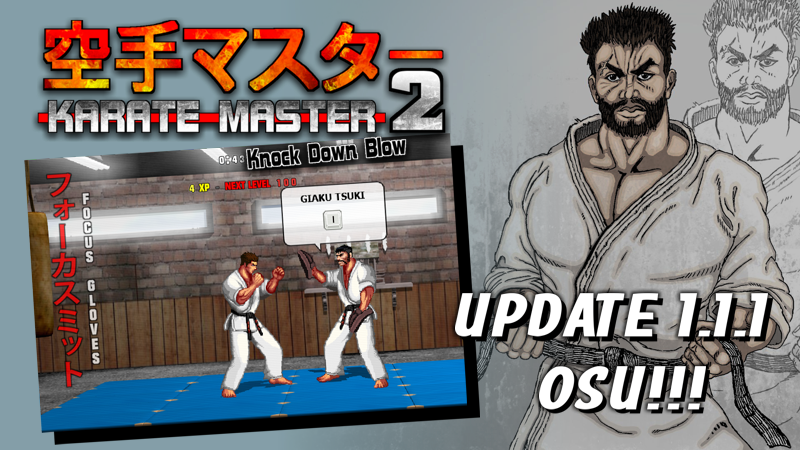 OSU Guys, KARATE MASTER 2 KDB, the New Update 1.1.1 is ready! thanks for all your feedback, the New Update 1.1.1 is ready! - Key bindings: we have added a new set of key bindings for keyboard controls. - Keyboard key rollover issue solved. Please go to Key config. 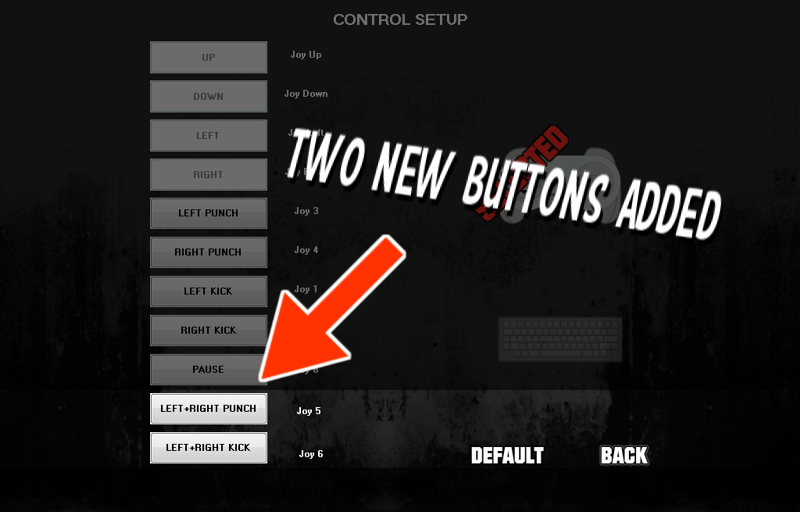 - Key config, we have added two new buttons, they are used to simultaneously press punches (left, right) and kicks (left, right). 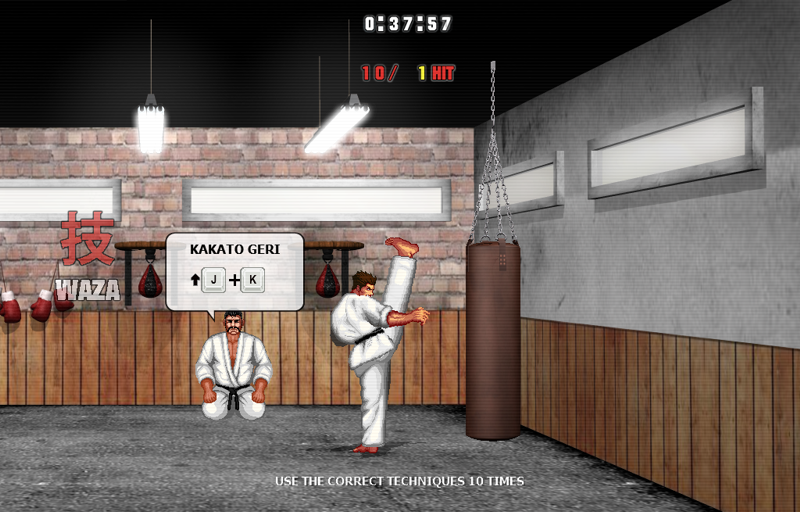 - Compatibility with "uncommon" gamepads, is now highly implemented. - Tameshiwari(baseball), instruction text changed. - MOKUSO (Status): Fixed a visualization error, when reached level 10, sometimes it was displayed as 0. - Some other minor glitches fixed.